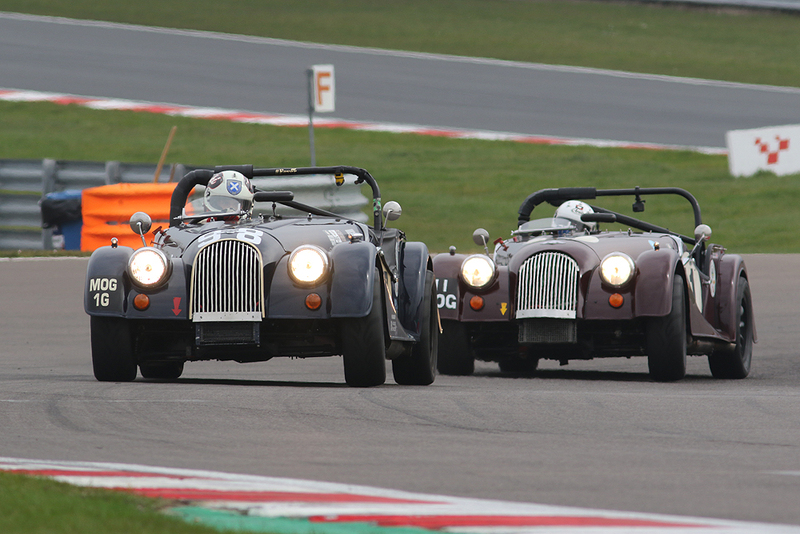 Like its 1970s counterpart, the Historic Road Sports Championship is for production sports and GT cars built and registered between 1947 and 1969. The grids are always packed, with models ranging from TVRs to Lotus, MG, Ginetta and Turner. To be eligible, models should have a period competition history and some modifications to engines and suspension are permitted. For full list see the “Weights” document on this page. The Championship is open to genuine production sports and GT cars built and road registered between 1947 and 31st December 1969 and which have, as a model, international competition history in period. Similar models built after this period may also be accepted subject to individual application. Some modification to engines and suspension are permitted. Cars must remain road legal and additional championship points are awarded to competitors who drive their cars to the circuit. All cars must have a current HSCC Vehicle Identification Form. Class G Invitation Class – entries for cars not registered for the Championship may be accepted subject to individual approval from the Committee or Registrar. The following rules for invitation cars will apply: Racing numbers should be pre-fixed with a number 1 (or 11 if being added to a single number). Drivers of invitation cars will not be eligible for podium places.